Netflix apparently doesn’t want to be in the Marvel business anymore, which may have something to do with Disney pulling its streaming offerings in anticipation of the launch of Disney+, but Hulu doesn’t have any such beef with Marvel or the mouse people. Not only does it already have Runaways, but today Hulu announced that it has picked up four adult-oriented animated shows based on varyingly popular Marvel characters, and—just in case there was any doubt that this was a direct shot at Netflix—the four shows will eventually cross-over into a special event called The Offenders. It’s not quite “I’d like to report a murder”-level, but it’s cold. According to The Hollywood Reporter, the four shows are MODOK, Hit-Monkey, Tigra & Dazzler, and Howard The Duck, with each one focusing on the character/characters/mental organism designed only for killing that it’s named after. Patton Oswalt will be an executive producer on MODOK, which is about a supervillain with a big head and a tiny body who “struggles to maintain control of his evil organization and his demanding family.” Hit-Monkey is about a monkey assassin and it comes from Josh Gordon and Will Speck. Tigra & Dazzler is an interesting choice, if only because Dazzler is definitely a mutant and mutant characters have thus far been left out of most Marvel-backed adaptations, but that’s the benefit of this being a TV show and not a movie (also, Chelsea Handler is an executive producer). Finally, Howard The Duck is about a duck named Howard. He wears clothes and stuff, and Kevin Smith is an executive producer. 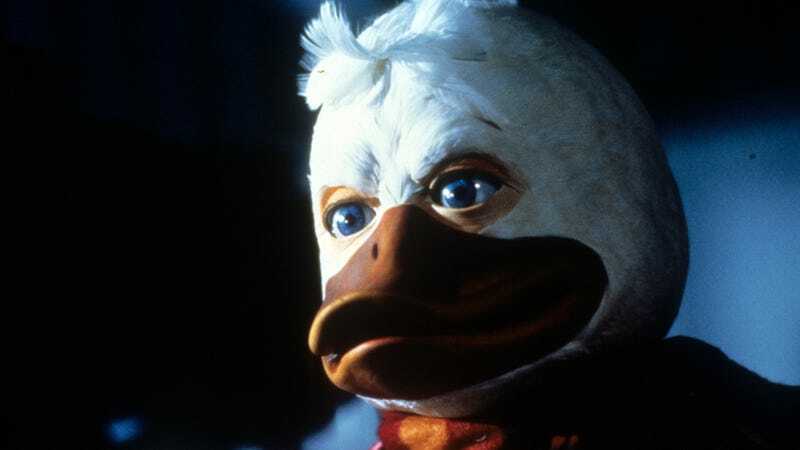 There’s no word on if Howard The Duck will at least be MCU canon, since Howard did appear in Guardians Of The Galaxy, but it seems extremely unlikely that the MCU will play into these shows at all since Marvel couldn’t even be bothered to put Stark Tower into the many New York skyline shots on the Netflix shows.